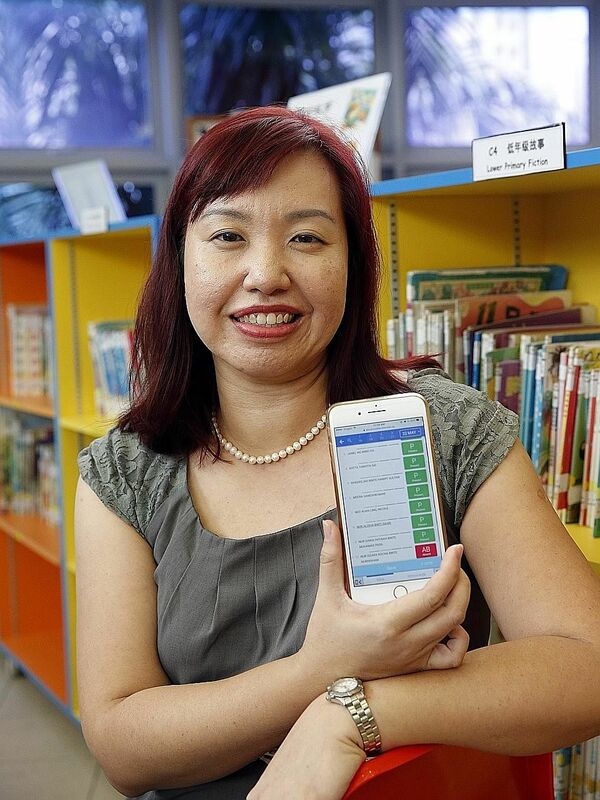 Teacher Tan Pin Pin fiddles with her mobile phone when the first class of the day starts at Edgefield Primary School in Punggol. For good reason though. In March, the school switched to a system that uses a mobile application to log pupils' attendance, instead of doing it on paper. All Ms Tan has to do is key the information into her mobile phone. Close to 85 per cent of all schools here - from primary level to junior colleges - are now making use of information technology (IT) systems for attendance-taking. In 2014, fewer than a third of schools here utilised IT for the same purpose. A Ministry of Education (MOE) spokesman said such systems can help schools better monitor truancy, absenteeism rates and trends related to latecomers. The different systems also reduce the administrative workload of school staff. While most schools use mobile systems for attendance-taking, which can also be accessed on a Web browser, others rely on a biometric system that requires students to get their fingerprints scanned when they enter and leave the school compound. Schools are free to choose their preferred system. MOE has other digital initiatives in the works, including an online platform that will allow parents to settle tasks like granting permission for school activities. It will be rolled out from the later part of next year. Mr Raymond Quake , who heads the department for information and communications technology at Edgefield Primary, said the school decided on the MOE- owned app known as School Cockpit Mobile (SC Mobile) after learning about it at an MOE briefing. By using the app, other teachers can check if the student has turned up for school. St Margaret's Secondary School switched to the app this year after using the biometric attendance system from 2005 to 2011. "We tried out biometric, but faced issues with having to remind students who forgot to mark their attendance at the terminals," said Madam Azizah Rabunam, who heads the school's department of information and communications technology. "Teachers take only a few minutes to mark attendance and update reasons for absence on the system," said Madam Azizah.